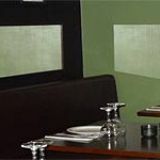 As Greek As It Gets is a contemporary designed restaurant that offers a wide choice of authentic Greek dishes. A comprehensive wine list is available to compliment your meal. Do you work at As Greek As It Gets? What did you think of As Greek As It Gets? For connoisseurs and uninitiated alike, As Greek As It Gets gives the ultimate bird's-eye view on authentic Greek cuisine, swapping tacky décor for affordable European sophistication. As Greek As It Gets wants to break away from stereotpyes: no classical temple frontage, white and blue flags or greasy fast food. Instead, this venue is inspired by the minimal aesthetic of contemporary Greek restaurants in Athens. Spread over two floors, the main sitting area is upstairs, with dark grey walls dotted with old black and white family photos and recent snapshots, adding personality. On the far wall, a glass case frames a traditional costume but this is the only visual concession to the Greek nature of the restaurant, which, otherwise, could pass for any slick bar. The elegant staircase adds a touch of style, with hundreds of wooden spoons attached to the dark curved surface. The overall feeling is of deep-rooted European sensibility, withouth the cliches which usually accompany imports. 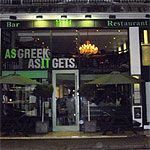 The clientele certainly boasts a fair few Greeks, which is no big surprise since this is one of the very few - if not the only - Greek restaurant which dissociates itself from cheap gyros to focus on family recipes and authenticity. Which is the reason why the remaining clientele is composed of appreciative Londoners. The atmosphere is rather rarefied with contemporary Greek music playing in the background and waiters hailing from the Peloponnesus (apparently coincidence rather than design) offering the slightly cold service that's customary on the Continent. You will be left mostly to yourself, which is ideal to truly analyse the food. 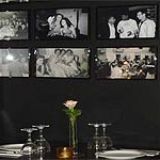 The menu is very comprehensive and boasts a long list of mezes (£3-£6.80); order them individually as starters or collectively as a meal. The mashed fava beans is an interesting dish: a warm portion of coarse fava puree is served with separate sun-dried tomatoes, capers, onions and Greek oil to blend. The beef cooked in honey, red wine and peppercorns exceeds expectations and truly demonstrates the simple versatility of home cooking. The lamb meatballs are doused in a slightly disappointing tomato sauce that resembles canned tomatoes, but the superbly fresh sweetbread option makes everything feel exciting again. Unfortunately they are not always on the menu - together with sheep's head (another regional delicacy), they are rare daily specials, so keep your eyes peeled. If you are itching to try them, call ahead to enquire and you may be surprised by other even rarer delicacies. 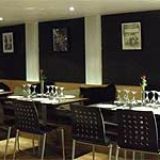 The mains (£8-£15) include skewers, gyros, and a varied selection of traditional Greek dishes like moussaka, lamb in lemon and wine sauce, and an ever so slightly bland saffron risotto with mussels and kefalotyri cheese. Desserts (£4-£5.50) are delicious and doused in honey, as you would expect. There are a dozen and a half bottles, most of which hail from Greece (£15.85-£40 or £8-£10.25 per carafe and £3.75-£5 per glass): the house red, the Kerastis Agiogritiko, is as described: round with a velvety after taste and a character robust enough to be a good match with the intense honey beef. Ouzo (£4.50) and Greek coffee (£1.80) could not be missing either, but even more interesting is the selection of frappes (£2.75-£4), including Greek coffee and Baileys. Sheep head and offal are not everyone’s idea of a feast, but As Greek As It Gets caters to all palates: from the most delicate to the most adventurous. There are certainly plenty of new and interesting textures and flavours to be discovered in this little corner of Greece. My wife and I were visiting London for the first time and couldn't decide where to eat. Staying near Earls Court and wanting to walk to the restaurant we came across As Greek As It Gets. It was a Tuesday and I guess slow night so there was no waiting. The owner, Dimitri, met us at the door. 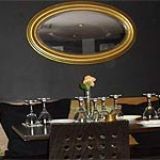 Upon introduction he took particular interest in making our dining experience memorable. With limited knowledge of Greek cuisine, he took the time to explain everything on the menu...including origins of each food and recommendations. Needless to say everything was delicious. After dinner we talked about our Greek and American cultures. Obviously proud of his Greek heritage and food, Dimitri ordered our waiter to bring out samples of cheeses, desserts, drinks, and house specialty "Loukanika me verikoka & meli" - sausages w/apricot & honey...on the house. Seemingly three hours later we finally left. Clearly Ms Marged Richards has no clue about greek food. As Greek As It Gets is the only place in London that actually serves real Greek fast food. Who cares about the Ikea chairs and the ambience? Go to As Greek As It Gets for the first class pork gyro souvlaki.